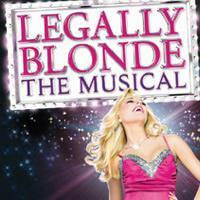 Broadway smash hit Legally Blonde The Musical is a ridiculously enjoyable show. 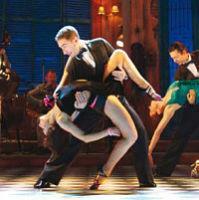 It opened at The Savoy Theatre in December 2009 and has been playing to packed audiences ever since. What’s more, it won the award for Best New Musical at the 2011 Laurence Olivier Awards in March. After months of promising myself I would go and see this bubbly show, I made a visit to The Savoy Theatre part of a girly trip to London back in June. With perfectly manicured fingers painted a shocking pink in honour of the occasion, I clutched my ticket and entered the gorgeous West End auditorium. Every theatre has its own vibe and the overwhelming feeling I was getting from both the building and the assembled audience was one of excitement and enthusiasm. Former world champions Vincent Simone and Flavia Cacace have dazzled television audiences as the incredibly talented and likeable stars of Strictly Come Dancing for the last six years. In Midnight Tango they are “Strictly” sensational. Midnight Tango is Vincent and Flavia’s first proper foray into theatrical performance. When they left the ballroom behind during the most recent break between seasons on the hit BBC show, Milton Keynes Theatre was one of the venues that welcomed their stunning production. The breathtaking show – complete with first class tango routines, drama, comedy and pure unadulterated passion – is produced by acclaimed choreographer and So You Think You Can Dance judge Arlene Phillips and features ten of the finest Tango dancers in the world. An internationally renowned tango band joins the dancers for a sensational production that fuses dazzling choreography with intoxicating Tango rhythms. Northern Ballet’s Cleopatra is a mesmerising production. Northern Ballet’s retelling of the story of Cleopatra beautifully illustrates the Company’s strengths. The show takes the audience on a journey akin to wandering through an extravagant museum exhibition, effectively bringing Ancient Egypt to life. Production and choreography– from the hieroglyphics projected onto the backdrop to the stances adopted by the dancers – combine to evoke the era in an absorbing spectacle.